Yuki Bhambri was halted in second round of the Miami Open by World No 11 Jack Sock after going down 3-6, 6-7 in an hour and 36 minutes. 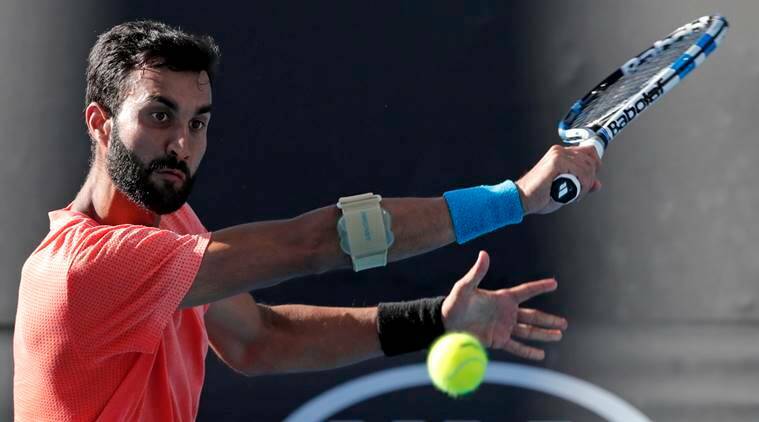 For second straight tournament, Yuki Bhambri went further into the main draw of an ATP Masters 1000 event and for the second tournament in a row, his run was interrupted by an American. Bhambri was halted in the Miami Open by World No 11 Jack Sock after going down 3-6, 6-7 in an hour and 36 minutes. With the passage into the second round after coming through the qualifiers, Bhambri would reach World No 104 when the rankings are updated on Monday. For the last three matches, Bhambri’s serve had been his biggest weapon in order to get him out of tricky situations and to keep all three matches in straight sets. But on Saturday evening in Miami, that tool didn’t get the desired result. Even as Bhambri landed 61% of his first serves in, the point conversion was poor. He won only 56% of his first serve points and rather disappointingly, 46% of his second serve points. In the first round win against Mirza Basic, the second serve points won number stood at 71%. Bhambri had his serve broken four times as compared to breaking Sock three times. The difference, the match. Sock served really well in comparison. Even though his first serves didn’t work, the second serves worked a treat as he won all but five points on the second. In the first set, Bhambri was broken in the fourth game on the first break point of the match. He managed to bring the match to an even footing in the seventh game as Sock faced his first break point. However, Bhambri couldn’t make much of this parity as he was broken straight back to give Sock a 5-3 advantage. On the first set point chance, Sock held on to his serve and take the opener in 30 minutes. The second set also had Bhambri broken first, in the third game, before the Delhi player broke Sock in the crucial tenth game. The duo then traded breaks, for three back-to-back breaks of serves, to force a tiebreak. In the tiebreak, Bhambri couldn’t get his serve to count and make a difference with two minibreaks early on before adding another. On second time of asking, Sock closed it out to move into the third round where he faces Borna Coric of Croatia. Coric beat Leonardo Mayer in his second round encounter.